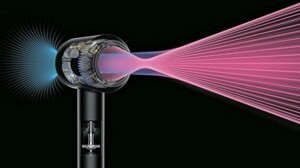 The Dyson Supersonic Hair Dryer – What is it? The Dyson Supersonic Hair Dryer is a high-end hair dryer that has been available to the consumer since 2016. Made by Dyson, perhaps most well known for their vacuums and fans, the Dyson Supersonic Hair Dryer is the first step into the personal care industry by the innovative technology company. In this Dyson Supersonic review, I will cover many features and benefits of this one-of-a-kind hair dryer. Dyson designed their Supersonic Hair Dryer very differently from any other hair dryer on the market today. Perhaps most significantly, the motor in the Dyson Supersonic Hair Dryer has been moved to the handle of the dryer. 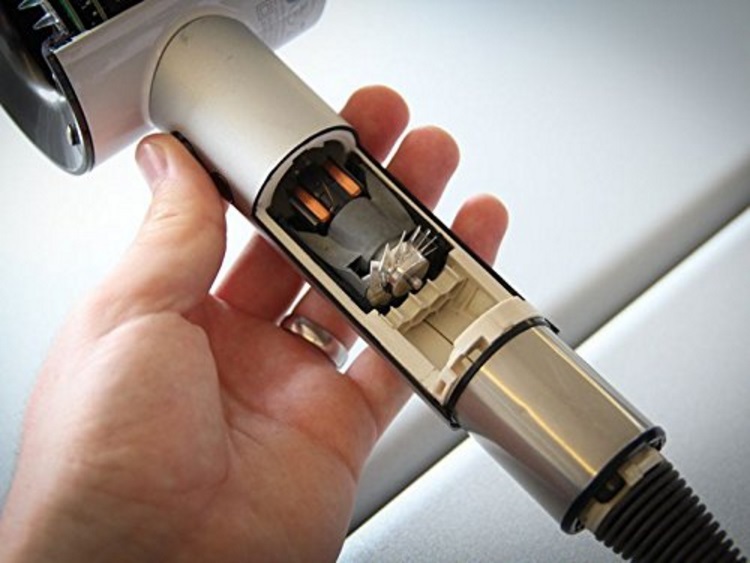 A traditional hair dryer has the motor attached to the barrel of the dryer, over the handle, which is what causes the traditional dryer to be heavy, unstable and hard to use. 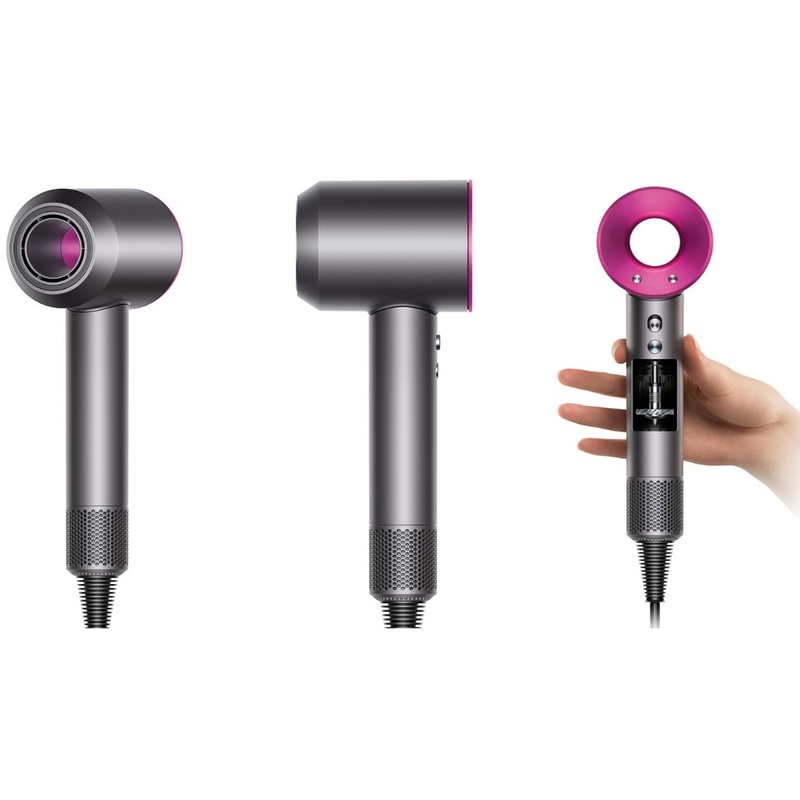 With the shift in the location of the motor, the Dyson Supersonic Hair Dryer is much easier to operate than a traditional hair dryer because there is balance to the dryer. The balance makes the Dyson Supersonic Hair Dryer less awkward than traditional hair dryers, particularly when a person is trying to style their hair or their beard while drying. In addition to the change in the location of the motor, Dyson completely redesigned the way the air flows out of the dryer. Using technology similar to their popular fans, the airflow is no longer coming out of a tunnel, or barrel, as a hot blast of air. Instead the air comes out a circular area above the handle, which has a hole in the middle, creating a wider-range of warm air. The result is dry hair quicker and with much less damage than a traditional hair dryer. As an added bonus, the Dyson Supersonic Hair Dryer is significantly quieter than the traditional hair dryer and, according to Dyson, is “acoustically tuned,” meaning the user will have an overall more enjoyable drying experience. With the Dyson Supersonic Hair Dryer, the user can select from three different speed settings, allowing for customization and targeted drying. The “styling” speed is the slowest speed, which allows the user to take more time to ensure their style is perfect. 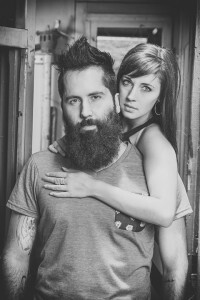 It’s great when styling with a roller brush or paddle brush, or if a beard needs extra attention. The “regular” speed is the speed that will work best for most people most of the time, but will still dry hair faster and safer than a traditional hair dryer. The “fast drying” speed will give a person a super quick dry, great for people on the go. The speed selector is located on the handle of the dryer, so it’s easy to quickly select the right speed. The dryer will self-monitor the speed of the airflow and will self-correct up to 20 times a second. This precision is what Dyson is known for and is key to getting hair dry without damage from excess heat. 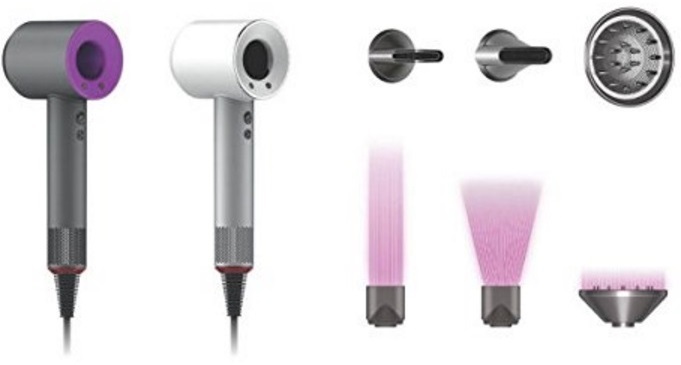 As a bonus, the Dyson Supersonic Hair Dryer comes with three different attachments. These attachments can be used to help create different styles and to increase or decrease drying times. They can be easily connected to the dryer and are held on by magnets – no need to twist, pull or shove these on. During the drying process the attachment will stay cool to the touch, so there’s no risk of burnt fingers or accidental damage to hair or skin. The “diffuser” attachment is designed specifically to help dry curly hair and keep the curls rather than straighten them. The diffuser creates a wider range of air at a lower speed that disperses air evenly between curls, allowing for better definition of individual strands of curls. The result is curls with less frizz and more shine. This attachment can be used on all beard lengths if the desired look is curls. The “concentrator” attachment allows the user to focus the air on smaller, more precise sections of hair at a higher rate of speed. This allows the user to create a sleeker, shinier and more stylized “blowout” effect. Using a roller brush with the concentrator attachment will lead to well defined waves and curls, while using a paddle brush will help create a straighter, silky look. This attachment would work great for medium to extra-long beards if the desired look is a stylized one, but is not recommended for short beards unless the user is going for a very specific look. The “smoothing” attachment creates a wider-dispersion of air that helps make hair shiny and frizz free, but with a less intense speed than the concentrator attachment. Using a roller brush or paddle brush with this attachment will help hair stay polished and lustrous all day. For beards of any length this will usually be the go-to applicator. Although the Dyson Supersonic Hair Dryer is marketed mainly towards women, the benefits of this powerful dryer can be experienced by everyone with hair that needs to be dried quickly and without harm. It works great for all lengths, styles and textures of hair, including coarse and thick beards, and is particularly good for people who are concerned about causing damage to their hair from excess heat. While it may not fix already damaged hair, it will help a person get on the right path towards having healthier hair. The Dyson Supersonic Hair Dryer retails for around $400 and can be found nationwide in specialty stores, including Best Buy and Ulta, as well as from online retailers, including Amazon. It can also be purchased directly from Dyson. Although the price is high, reviews of the product are stellar and the time it can save a person with their hair can easily justify the price. If you are someone who is frustrated with your traditional hair dryer, or if you’re concerned about the damage your dryer is doing to your hair, you will love the Dyson Supersonic Hair Dryer. It’s easier to use than a regular hair dryer but it still causes less damage, dries hair faster and is quieter than a regular dryer. It works great on all hair types, including thick or coarse beards, and the options it comes with will ensure you’re getting the right dry for your hair. 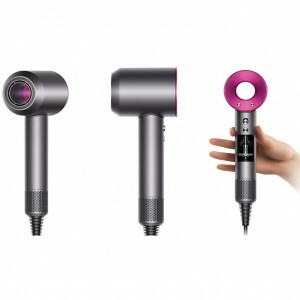 The Dyson Supersonic Hair Dryer would also make a welcome gift for anyone who cares about their hair.